Recovering valuable copper from liquid wastes is the latest development added to the growing portfolio of recycling opportunities introduced by Hampshire-based waste management specialists Cleansing Service Group. The copper processing facility – which is installed at CSG’s treatment and recovery complex at Cadishead, Manchester – is recovering copper at over 99% purity from the complex wastes generated by the electroplating industry. It is also present in liquid wastes emanating from the printing and some manufacturing industries. “With the price of copper at around $9,000 (£5,500) per tonne, its recovery is of increasing importance to help preserve the world’s diminishing resources of this valuable metal,” said CSG managing director Neil Richards. An extension to the company’s pioneering nickel recovery operation – which is successfully recovering nickel of 99.9% purity – the copper containing liquid wastes are processed by a purpose-built plant in which the wastes undergo a CSG developed multi-stage pre-treatment chemical process to remove unwanted contaminants before electrolysis is used to plate out the copper. 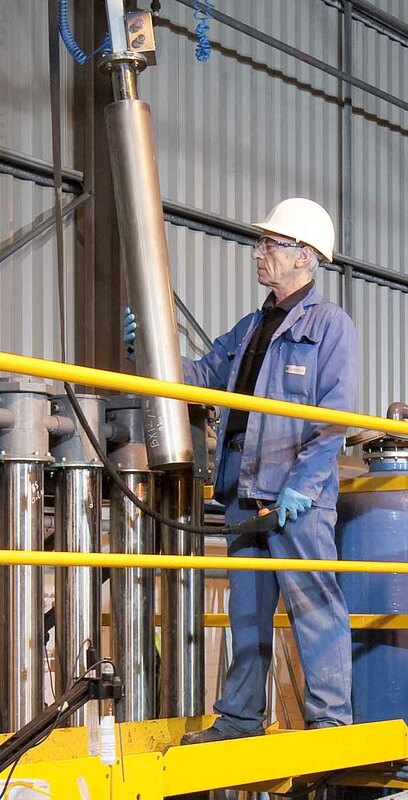 Neil Richards said: “We proved the new technology on nickel and the next logical step was to use this expertise to recover the copper which is present in many of the same types of liquid wastes. This has been successfully achieved with the recovery of high value copper of a purity expected to be well in excess of 99%. Copper is a ductile metal with very high thermal and electrical conductivity properties which are exploited in a wide range of products, in particular electrical wiring, integrated circuits and printed circuit boards.